It’s that time–again. We look at our calendars and wonder how it could possibly be August already. It feels like I was just taking the last-day-of-school photos on the front porch. Backpacks and old school papers, worn crayons and eraser-less pencils, temporarily shuffled into the catch-all corner until I know what to do with it all. I mean, what do you really do with them? Hold on to the tattered craft paper with squares of mix and match pictures and words because their little hand writing is on it? Of course. But you have to be picky because you don’t want to become a hoarder. 😉 School starting is usually coupled with clients looking to do their annual family portraits. Most of my clients have become beach portrait lovers but there are still those that really want to quintessential fall foliage portraits. I photographed this family last October. They were finally in their new home and I couldn’t wait to see the kids again. I’ve photographed each of the children since they were newborn and many sessions in between. The girls were super excited to show me their new bedrooms and show off how big their little brother had gotten as I hadn’t seen him since his newborn session in April. We had a blast playing indoors, and out and finally–because you know I can’t resist a good tub shot–a bubble bath to end it all. If you are in Boston, south shore, or surrounding areas and are interested in booking your family session please contact me at info@bellinipics for more information! Sarah Fecko - I think this is one my most favorite shoots of yours! Was it taken at your studio? The ones of the little blond girl giggling are stunning! Michelle H - Stunning. Beautiful family, beautiful home ( hello windows!!) and fantastic photog. Rebecca Baker - I love the documentary style! Beautiful photos!! Kim M - Oh. My. Gosh. I just became your biggest fan! This shoot is just over the moon beautiful! Love your style! Julia Yeliseyeva - Amazing session! Michelle Brown - Oh my gosh, these are fabulous! Annie - Love how light and airy these photos feel! And those amazing smiles…. just beautiful! Mai - What gorgeous light you got in those pics! I love airy looking. Awesome work. Heather Neilson - Beautiful and inspirational! Jess - These images literally brought tears to my eyes. 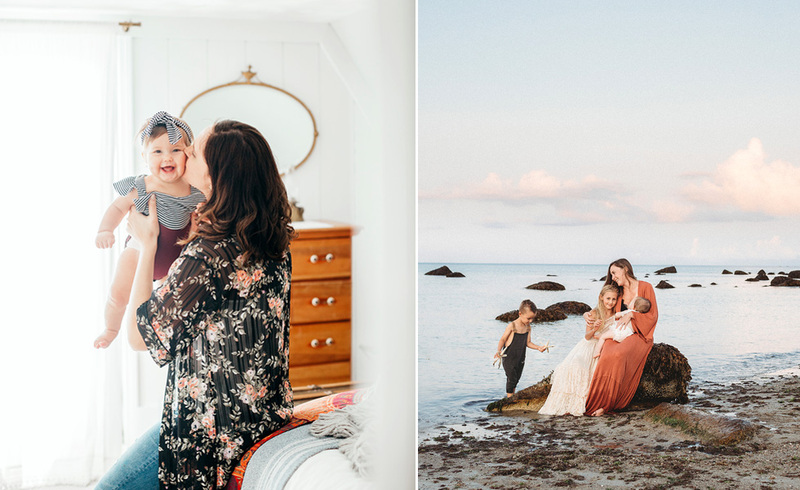 Maybe it’s because I am pregnant and hormonal, maybe it’s because I’m a photographer who longs to take pictures like these, maybe it’s because I can feel the love this beautiful family has for each other. Well, it’s probably all three! Either way, you do extraordinary work! You managed to capture this family (and many others from what I can see) so naturally and it seems effortless. Thank you for inspiring me!